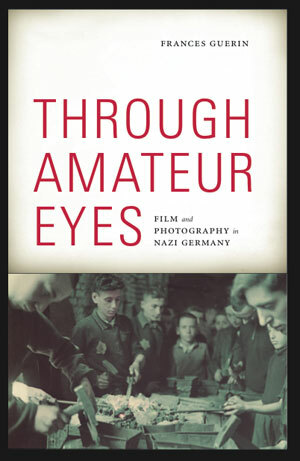 Through Amateur Eyes is all about how amateur documentary films and photographs taken primarily by Germans can be used in the memory and memorialization of World War II and the Holocaust. All of the films and photographs I discuss are taken by Germans, ranging from high level Nazis, through unknown soldiers on the battlefield, to bystanders and civilians during World War II. The book puts these films and photographs into a social, cultural and aesthetic context that helps to understand them as amateur films and photographs that were deeply engaged with the world around them—they are in conversation with technological developments, cultural and social events, aesthetic trends. They are so much more than documents of Nazi ideology. Effectively, my perspective on the images casts them as more than “pictures taken by the German perpetrators,” a perspective that has often led to their rejection or, at best, marginalization, because , through this lens, the images have become equated with reflections of Nazi ideology. Because many of the images I discuss are often recycled in contemporary narratives that memorialize World War II, the book also analyses the recyclings as cues to contemporary beliefs and practices of cultural memory. I ask: How are these films and photographs understood today? 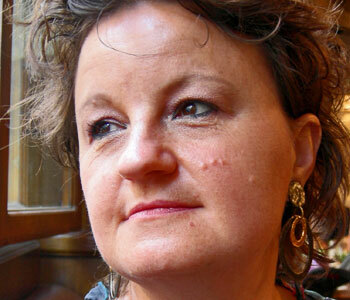 What are the biases of the narratives into which they are woven? What are the prejudices brought to bear on them? How are they manipulated to corroborate a certain version of World War II and the Holocaust? The re-presentations of archival images are found everywhere: in museum exhibitions, Gallery Exhibitions, made-for-television documentaries, magazines, documentary films, and on the Web. And they have been used and reused in both mainstream and alternative media since 1995 in Europe and North America. Ultimately, Through Amateur Eyes wants to intervene in the urgent and ongoing debates about events that took place during World War II, their visual representation, and the question of how to continue to remember them today. And it does this by taking a radical perspective, namely to look through the eyes of Germans with cameras who were present at the events themselves. It’s important that readers understand Through Amateur Eyes as another perspective on the Holocaust and World War II. It’s not a rewriting of this history, it’s putting forward another version that can and should sit side by side with all of those that exist already. The same can be said about the images themselves: I offer a specific perspective, but one that nevertheless needs to be seen and known in conjunction with more familiar interpretations. Both the films and photographs, in their archival form as well as in their contemporary recyclings, are multiple and layered, and I have tried to capture that depth. All of this said, my visions of the films and photographs are not relative. They begin and end with the sensuous properties of the images themselves, and for that, I hope my arguments will carry credence for many readers.